How often should I do Pilates? It’s a great question and a hard one to answer. In my opinion any movement daily is a good thing for the mind and body. Focusing on Pilates daily is even better and it doesn’t have to be a long session. Most people do an hour’s Pilates class a week. This is great, they feel the benefits and know that if they did more they would feel even better especially if the reason they started was due to an injury. For most people it’s time, not prioritising or not having the motivation. Even though we know the benefits of Pilates will be great for us!! So I’d like to introduce your to my client Anthony. He started Pilates a year ago (after his wife persuaded him). In class as with everyone I try and encourage everyone to do a little practice during the week as I know how it will help and especially during the school holidays when we have weeks off at a time. School holidays was the reason I started my 10 minute pilates practice online videos in the hope that time people would practice and most people could find 10 minutes in their day! “I have been boasting on Twitter to teacher Louise, boss of Studio 44 Pilates, every day this last week. And adding the odd extra, like on day five of the week: “Bit sad tho’, isn’t it…Five Days practice, just five…And I’m boasting….Still, needs must, and it IS five where once there was none ….”. Which begins to explain …. I have been doing a weekly class for about a year, mostly enjoying it. The activity itself, the gentle banter between us students and with teacher, the endless patience and persistent encouragement (plus expertise of course) of Louise — all of this I have been enjoying. But practice between sessions? No! Not me, bar one online Saturday morning Facebook Live session. Lots of reasons why not. Lots of excuses. But no practice! Not even the odd ten minutes. Then just a week ago I started. Every day. Ten minutes. First couple of days using exercises from memory, then turning to the ten minute videos on the Studio 44 website. What flicked a switch for me was finding myself noodling about the Internet, reading about Joseph Pilates (he developed what he called ‘Contrology’ as an internee during World War One, on the Isle Of Man) — his own description of his exercises & philosophy, his worryingly named Pilates machines (eg The High Electric Chair). Why did this get me going? 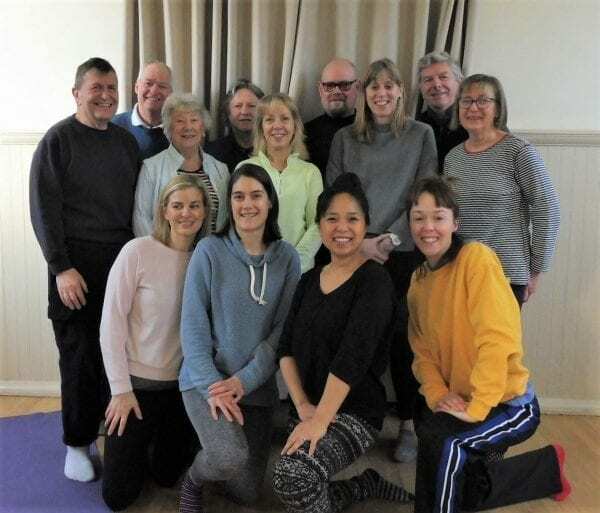 Well, on reflection I realised what I should have thought about before, for I learned once that we differ in the ways we learn best — and I am ‘learning’ Pilates. I am one of those who likes theory and knowing the ‘why’ of things. Perhaps this was why reading about the history & theory of Pilates got me started in a way that exhortations to practise did not. As we publish this Anthony has been practicing for 15 days and starting to notice the different. 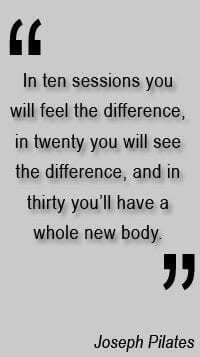 As Joseph Pilates quotes in ten sessions your feel the difference which Anthony is! 20 more days will see the whole new body! Plus Anthony will have formed a habit so Pilates becomes part of his daily life! So what’s your excuse for not practicing? and then see if you can keep it going?